It's no secret that dermatologists and estheticians everywhere agree, that Vitamin A (aka Retinol) is the best tool to combat aging, acne, skin discoloration, sun damage and a whole bag of skin issues. BUT, what you may not know (and definitely should know) is that Vitamin A makes the skin more sensitive to sun exposure. 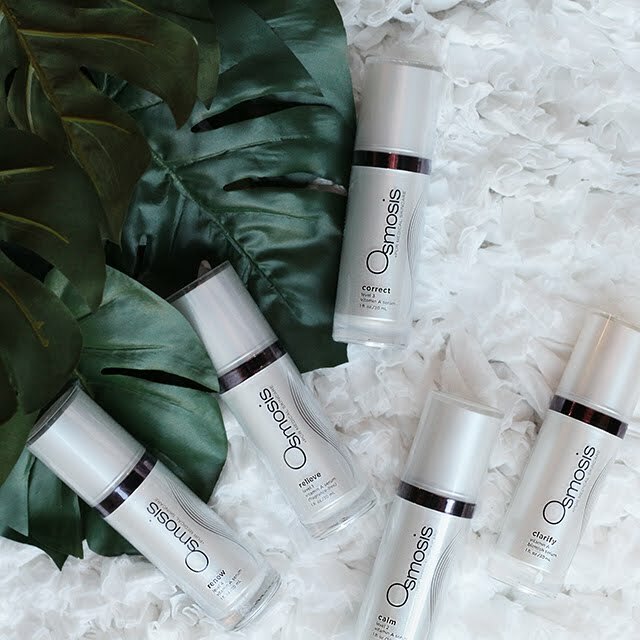 We get asked often if Osmosis Skincare lovers should stop using their Vitamin A serum in the summer. The answer is a simple, resounding... NO! Vitamin A is such a rock star when it comes to treating the skin, you want to make sure to utilize it even when the sun is out in full force. Here are some helpful tips to utilizing Vitamin A in the Summer! * Let your Vitamin A Serum work for you while you sleep. Apply your Vitamin A at night, skipping the morning application. Instead try StemFactor or Catalyst AC-11! * SPF, SPF, SPF, SPF, SPF! Did you get that? Sun protection is vital EVERYDAY, especially in the summer time, and even more important when you are utilizing Vitamin A. Every morning, slather yourself with Protect and take 5 pumps of UV Neutralizer Harmonized Water. Because Vitamin A makes your skin more sensitive as it gently exfoliates dead skin, your skin is left with a mighty fresh layer that needs to be protected, even after you wash your Vitamin A off in the morning. * Choose the right Vitamin A Serum for your face. Check out this post to learn which one is right for you!With 5 different Vitamin A's to choose from, there is no excuse not to take advantage of the one that fits best for you. Choose from: Calm, Clarify, Correct, Renew and Relieve. * Exfoliate once a week to help your Vitamin A provide you with stronger results. We LOVE Polish, it's gentle, effective, and smells down-right delicious! * Make sure to utilize your Vitamin A all over! Many people forget their lips, ears, neck and chest. All of these areas need some extra love. Just don't forget to protect those same places during the day. Using your Vitamin A in the summer (and year round for that matter), is vital to keeping your skin healthy. It only takes a few small changes to make sure the summer heat and sun don't compromise your results. So get on the Vitamin A train and enjoy the ride to glowing, beautiful skin!